Chronic pain sufferers – many with the common, dualistic understanding that pain is either “real” and caused by physical injury or else is “all in the mind” – routinely receive structured education in pain clinics on an alternative, non-dualistic, scientifically current model, which assumes that processes distributed throughout the brain and spinal cord, processes which are neurobiological but also intrapersonal, amplify and maintain pain. How might these incommensurable paradigms potentially be differently incorporated into what Bourdieu calls cultural capital, and further converted into economic, symbolic and social capital? This paper will present theoretical interactions between employers, insurers, lawyers, colleagues, healthcare providers, and three “ideal types” of chronic pain sufferers, defined by whether their pain is understood through a) the new paradigm of pain, b) the physical half of the dualistic paradigm, or c) the mental half of the dualistic paradigm. The paper will discuss whether the common rejection of the new paradigm by chronic pain sufferers can be understood not as a failure of health literacy associated with low cultural capital, as Veenstra and Abel describe regarding other instances where health messages are not adopted, but rather as what Bourdieu calls strategic practice, in which pain sufferers, from their habitus and field position, intuitively calculate and optimize conversions between various capitals, including where these must be traded off against optimal treatment options and health outcomes. 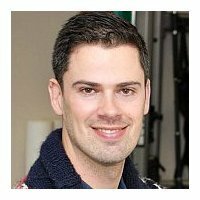 Seamus Barker completed a Bachelor of Physiotherapy at Latrobe University in Australia in 2003, and a Bachelor of Arts - combined Honours: English and Social Theory, at the University of Melbourne in 2012. Seamus attained an MPhil - American Literature from the University of Cambridge in 2014, and in July 2015 commenced my PhD at the University of Sydney, where he was based in the Department of Sociology and Social Policy. His doctorate involves investigating the contestation between different paradigms of pain, as these operate in scientific, medical, political, economic, juridical and cultural fields. Social Theory and Narrative Theory approaches inform this work, which will also involve interviewing pain scientists, medical specialists, and people who experience chronic pain. This seminar focuses on developments in Europe which in many respects parallel those in Australia: the rise of populism and neo-nationalism. I take two examples from two distinct phases of the emergence of right-wing populist repertoires: Phase One (1980s/90s): the populist-neo-nationalist right in Austria; Phase Two (current): the UK and Brexit. The term ‘repertoire’ is borrowed from social movement analysis and has the advantage of highlighting the open-ended and shifting nature of populism. Repertoires shift and are open to innovation. The chapter examines the pioneering phase in which small or peripheral countries (e.g., Austria, The Netherlands, and Australia) had a disproportionate influence, and how the repertoire developed there is adopted and adapted in the course of – and after – the EU referendum in the UK. I shall argue that populism and neo-nationalism have become increasingly mainstream; common property across the political spectrum. The broader context here is one in which nation states narrow their raison d'être, and the source of their legitimacy, as they increasingly focus upon a single task: the defence of borders, above all against migrants. About the Speakers: Alan Scott is Professor of Sociology. He has taught and researched in universities in UK and Austria as well as Australia. In 2008 he was Visiting Fellow in the Centre for Research in the Arts, Humanities and Social Sciences (CRASSH), University of Cambridge. In 2009 he held the Vincent Wright Visiting Chair in Sciences Po, Paris. Between 2013-2016 he was Vice President (for humanities and social sciences) of the Austrian Science Fund (FWF) in Vienna. His main areas of research are in political and organisational sociology, and in social theory. Personal website. Discussions of the role of social media in spreading ‘alternative facts’ and ‘fake news’ often centre on misinformation. Falsehoods and conspiracy theories need to be debunked. Yet, focus on misinformation alone can suggest an arena without rules or evaluative logics. This talk engages with the case study of the climate sceptic blogosphere and how they construe, construct, and contest knowledge. Analysis of the climate sceptic blogosphere, one of the first arenas of online alternative facts, suggests that there are rules that organise legitimate knowledge. The organisation of knowledge claims in this sphere hints towards an underlying worldview that makes the arrangement of some claims and stances valued and others devalued. Missing this logic leads to an analysis that falls back into a deficit model of pubic misunderstanding of science and policy that assumes high information costs underlie rejection of stabilised facts. This case study suggests that it is the willingness to select certain facts and misinterpret others that sociology needs to explain to understand the spread and reception of alternative facts online. 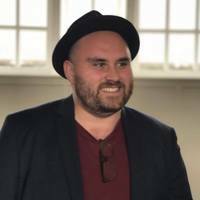 Mathew Toll is a PhD Candidate in the Department of Sociology and Social Policy and Postgraduate member in the LCT Centre for Knowledge-Building, University of Sydney. Mathew’s research employs mixed methods, social network analysis and thematic analysis, to explore knowledge production and contestation online. His research interests are knowledge practices, controversies, and expertise in the public sphere. Catriona Elder's areas of research expertise are in 20th- 21st century Australian cultural identity, especially relations between Indigenous and non-Indigenous peoples in Australia. In particular she has intensively explored some of the ways in which non-Indigenous peoples think about belonging and has analysed both the pleasure and anxiety that inform narratives of national belonging. Specific projects have focused on assimilation in popular fiction; whiteness and government immigration and Indigenous policy in the 1950s and 1960s. This work has drawn on and contributed to the development of Critical Whiteness Studies and Settler Colonial Studies in Australia. One current research project focuses on race, identity and the Australian historical television mini series (1970-2005). Dr Elder is exploring representations of belonging that are produced through television dramas about colonial history. Other areas of research include (post)reconciliation, nationalism and sexuality, and women and non-professional work in the 1950s-1960s. Charlotte Lloyd is pursuing a doctoral degree in Sociology with a secondary field in Computational Science and Engineering. Her mixed methods research focuses on how symbolic and cultural boundaries are related to structural inequality within organizations and communities. Currently, Charlotte is a Visiting Fellow at the Institute for Culture and Society at Western Sydney University where she is conducting fieldwork for her dissertation on Australia’s Reconciliation Action Plan program. In December 2016 a US District Court in New York fined the global Brazilian construction company Odebrecht $3.5 billion under the Foreign Corrupt Practices Act for bribing politicians and officials in 12 Latin American countries to secure 100 construction contracts. This paper argues that this infrastructure related corruption has become a feature of the new corporate state in Latin America generated by a project-led neoliberal development model. From the 1980s political and economic liberalization in Latin America saw the rescaling of the state and the support for the decentralization of government and regional and urban competitive development. The corporate state form in Latin America has emerged out of state partnerships with business and security providers to help manage the problems of extreme inequality, high levels of violence and uneven governance. Market and security logics have merged to produce distinct spatial regimes (Brenner’s ‘new state spaces’) designed to attract investment through project-led development strategies. The transient coalitions of politicians, corporations and financiers that formed around project-led development generated a corporate state form, one which has been exposed as highly vulnerable to corruption and has penetrated the judiciary and electoral politics at all levels. The corporate state oscillates between capture and franchising, eroding any meaning of citizenship. The paper looks at the trajectory of project-led urban development projects (especially the cable car) in Colombia and Brazil to sketch the contours of the emerging corporate state. Michael Humphrey's research interests have focused on large scale social change and the governability of social life. This has been strongly framed by the impact of globalization on the relationship and connections between societies in the North and South. The themes of his research have included international migration, refugees, multiculturalism, community, the city, war, terrorism, law, human rights and transnational governance. The major areas of my research have been in 2 areas: ‘Islam in the West’ and ‘Political Violence and Social Healing’. By fusing theoretically informed debate with its practical application to the field of public sector and policy reform, Dr Hwang's research advocates a closer synthesis of perspectives centred around ideas, interests, and institutions in order to further our understanding of process of policy change. He is particularly interested in the areas of: comparative social policy; comparative development of welfare states; social policy in a development context; comparative analysis of welfare states in East Asia; policymaking processes and policy analysis; politics of social policy; institutional change and policy change; globalization and social policy.